The topic for World Usability Day 2012 is "Usability of Financial Systems". This is the biggest Triangle UXPA event every year and will be held at SAS. Our invited speaker is Cliff Anderson from Charlotte, NC. Cliff is currently a Sr. Usability Engineer at Ally Financial. He has over 20 years experience in the financial industry. Cliff was featured in 2011 by the Nielsen Norman Group as part of the week long event called "Usability Week" held around the globe (see Nielsen Norman Group). This is a FREE members and sponsors only event, starting out with 30 minutes of networking followed by a full sit down dinner at SAS and then Ciff Anderson's presentation. If you are not a member, and would like to attend, please join the Triangle UXPA first ($30 Standard and $15 Student annual membership). If you are an employee of one of our sponsors, please get the sponsor registration code from your lead sponsor contact. Money’s a funny thing. Everbody has it, everybody wants more of it, and everybody worries about it, but very few people understand it or can get that deeply interested in it. What a perfect opportunity for usability ... even in these tough times. 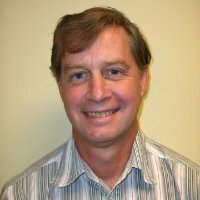 Cliff Anderson is a Sr. Usability Engineer with Ally Bank. He has 25 years of experience doing usability testing, and has tested over 1500 users. He also has experience in interaction design, information architecture, tech writing, and other related fields. He has presented at UXPA and has published in UXPA Voice, Boxes & Arrows, User Experience, and Usability Interface. He has degrees from Duke University and Carnegie Mellon, and has been a guest lecturer at UNCC, Winthrop, and the University of Georgia.